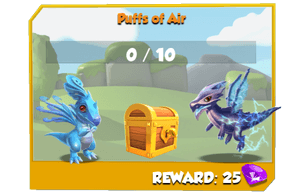 The Dragon Codex is a major story and gameplay element in Dragon Mania Legends that is unlocked after breeding, hatching and housing the very first Smoke Dragon. 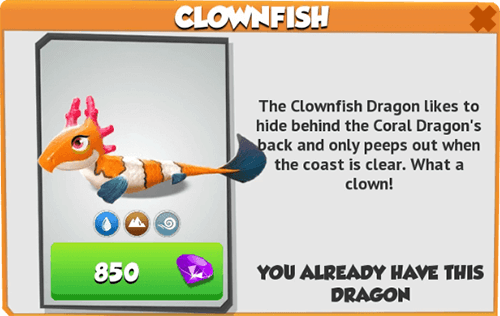 After being unlocked, the Codex can be found and accessed by tapping the button in the upper-right corner of the screen when viewing the Archipelago. The main feature of the Dragon Codex is to give up-to-date information on Dragons. There are three aspects to the Dragon Codex, namely the Codex, the Collections, and the Codex Entries. 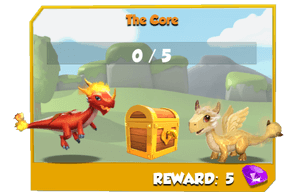 The Dragon Codex provides the ability to purchase additional Dragon eggs at any time for any Dragon that a Trainer currently has on their islands, including any Limited-Time Dragon previously obtained, as long as these Dragons can be purchased in exchange for Gold or Gems. 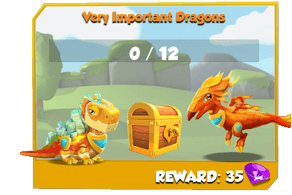 Boss Dragons and regular Dragons that can be bred normally or within a limited-time period, along with the active VIP Dragons, can always be purchased, regardless if the Trainer has them on their islands or not. 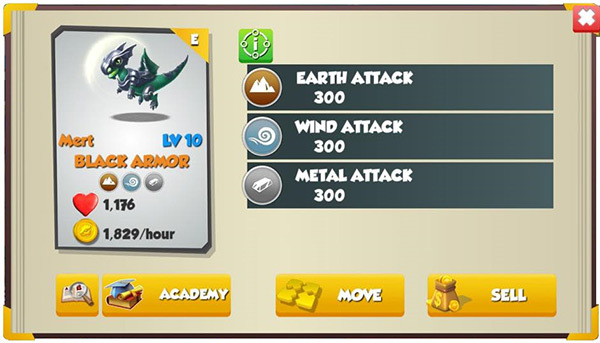 Boss Dragons can only be purchased once, unless exceptions occur, and only if they have been unlocked through defeating them in Normal Mode. After opening the Dragon Codex, the Trainer has two tabs and one button. The and tabs are used to toggle between the Collections and the Codex, respectively while the button is used to access the Dragon Collector Leaderboard. 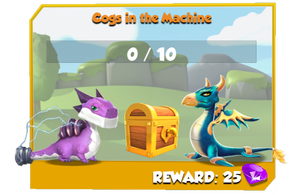 The Codex is a major feature that has an overall count of Dragons that can be obtained and Dragons that have been obtained along with an individual count showing for multiples of obtained Dragons. 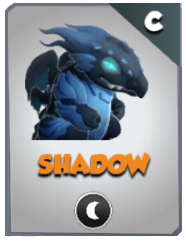 There is an image slot for every Dragon in the game (excluding Chronos and Clan Dragons). 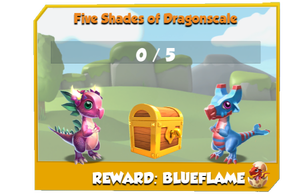 Images will show in color for all Dragons that have been obtained (including any Limited-Time Dragon), containing their mugshot, Elements and name. 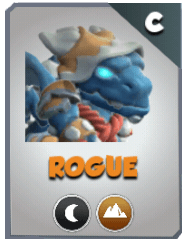 Grayed-out images will appear for Dragons that are available, but not yet obtained. 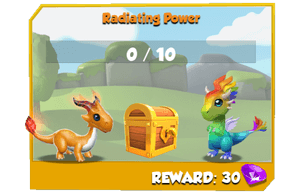 An image of a lock is present on slots of Dragons that must first be unlocked before they can be obtained. 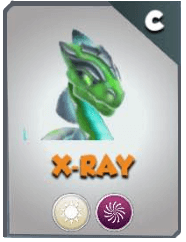 Though slots are shown for each Limited-Time Dragon in the Codex, no image is shown and their basic information (Level 1 Codex Entries) can only be viewed while they are available in the game, such as when they are Dragon of the Week or Dragon of the Month, or part of a currently-ongoing event. 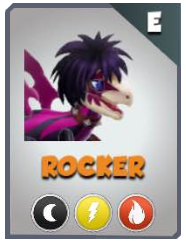 Basic information for all other Dragons can be viewed by selecting their image. 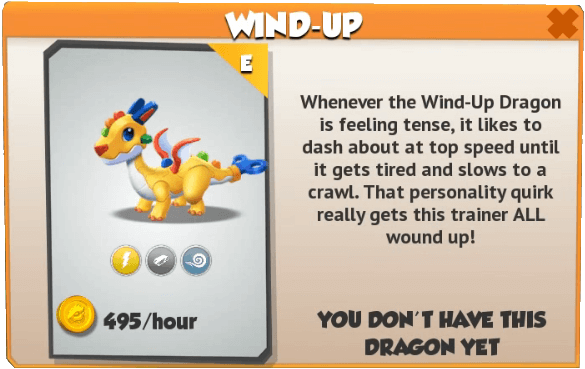 Additionally, the Codex will display the total count of unique Dragons the Trainer currently has separated with a slash by the total count of unique Dragons in the game. 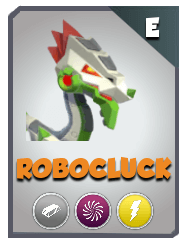 Neither count includes Chronos and the Clan Dragons. 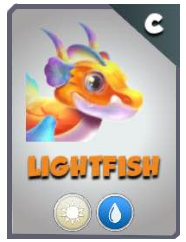 The filtered view can also be sorted by "rarity", which will sort them by classification/type or by "unlock". 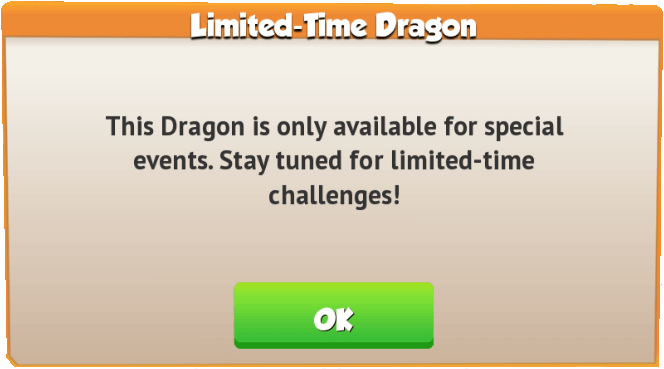 When selecting the order by "unlock", all Dragons are sorted according to their highest Element where Limited-Time Dragons are shown first, followed by the others. In addition to the above filtering options, the Trainer can also check the Show owned only box to have the Codex display only those Dragons that are currently under the ownership of the Trainer. The Trainer can also compare their collection of obtained Dragons to that of other Trainers by first visiting their islands and then selecting the button at the bottom right of the page. 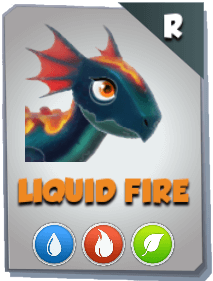 Whenever a new Dragon is hatched for the very first time and placed in a Habitat, the Codex will appear and it will fill in its snapshot. 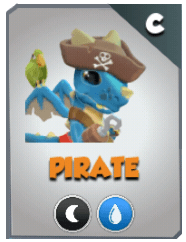 If the Dragon has an entry in a collection, the Collections menu will appear instead. If the last housed species of a Trainer's Dragon is sold, its snapshot in the Codex will become grayed-out again, but the same will not happen in the Collections if the Dragon has an entry there. 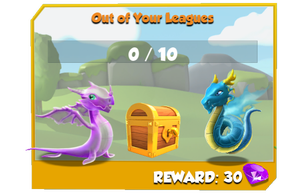 The collections are made up of different groups of Dragons that are collected for rewards consisting of Gems (ranging from 5 to 35). 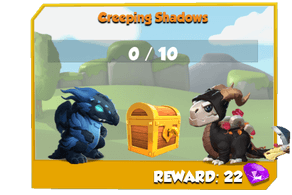 These collections are grouped into categories such as early-game Dragons, all Common/Uncommon Normally-Breedable Dragons of an Element, Dragons required to breed Legendaries, Dungeon-Exclusive Dragon, VIP-Exclusive Dragon, and so on and so forth. Additionally, there also exist Meta Collections, meaning a collection that is completed by completing other collections. The collections are listed in their complete form and can be hidden through the button and unhidden through the button. A Dragon's Codex Entry can be viewed from multiple places in the game, including, but not limited to, the Main Shop, inventory, current ongoing events, by pressing the button when visiting the Dragon in their Habitat, or selecting their image in the Codex. Depending from where it is accessed, the Codex Entry will show different information. Codex Entries for Boss Dragons can only be accessed through the Codex (at all times) or the Main Shop (only if it has been previously beaten in Normal Mode). 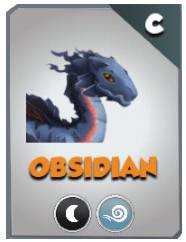 A Codex Entry accessed from a Habitat is unique for the selected Dragon as it displays that Dragon's own features. Codex Entries accessed from anywhere else only display the base features of that particular species of Dragons. When viewing a Dragon's Codex Entry through any method other than from Habitats, the Trainer will see the species name and given name, Elements and rarity of the Dragon, its Level 1 (base) stats and Dragon Collector Points (neither is shown for Boss Dragons), the four (grayed out) Enchantment Stars if the Dragon can be enchanted and the (grayed out) skills that can be taught to the Dragon in the Dragon Academy, a text showing whether the Trainer already has the Dragon or not on their islands, and some flavorful text that explains the interaction between the Dragon and its trainer, other Dragons, the opposing characters, or/and other gameplay features. Additionally, in the bottom-left corner of the Dragon's image, the button can be pressed to display the egg of that Dragon and the button to switch back to the current form. 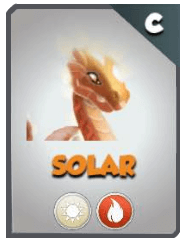 In the case of Legendary and Divine Dragons, whenever they have any secondary Elements awoken, this Codex Entry changes to reflect the new Element as well as the base stats affected by that Element. If the Trainer has the Dragon housed or stored on their islands, the option is made available and pressing it will take the Trainer directly to that Dragon in its Habitat or to the Dragon Vault, respectively. If the Trainer has more than one species of that Dragon, pressing the button will bring up a menu with all the Dragons of that species, giving the Trainer the option to choose the desired duplicate. 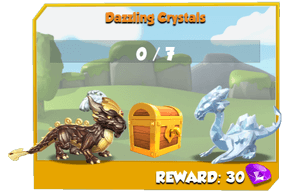 As explained in the beginning of this article, in the case of most owned Dragons, the Trainer might be given the option to purchase additional egg duplicates through a green button indicating the cost and currency of the Dragon. 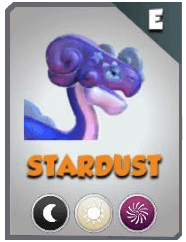 The button will always be shown for Normally-Breedable Dragons, the current Dragon of the Week and Dragon of the Month, Dragons for which a Breeding Token is currently active, and Boss Dragons which the Trainer does not posses, but has unlocked through battling (with very rare exceptions, the Trainer can have only one of each Boss Dragon, thus duplicates can not be purchased for them). The is shown for Normally-Breedable Dragons that the Trainer has not yet obtained and pressing the button will take the Trainer to the Breeding Den and will automatically select two possible parent Dragons. 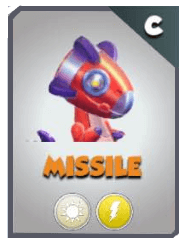 The button will always be shown for Card-Segment Dragons for which the Trainer has sufficient Dragon Pieces to hatch, regardless if the Trainer already has the Dragon or not, and for other Dragons that are in the Trainer's inventory , and pressing it will send that Dragon to be hatched, provided there are free nests in the Hatchery. 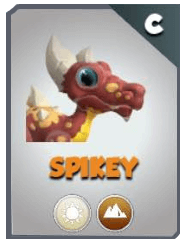 The button is shown for Card Dragons the Trainer does not have on their islands and whose Pieces can be obtained from card packs, and pressing it will take the Trainer to the section of the Main Shop where card packs can be purchased. 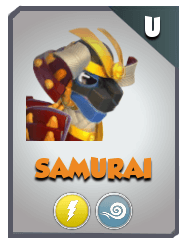 The button is shown for limited Card Dragons that are obtained from events other than Clan Events, and pressing it will take the Trainer to that event. The button is only shown if the event is currently ongoing. 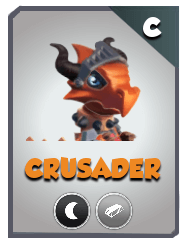 The button is shown for limited Card Dragons that are obtained solely from Clan Events, and pressing it will take the Trainer to the current active Clan Dragon. In the case of Enchantment Dragons, the button is always shown for Dragons that are obtained via Enchanted Breeding, and pressing it will take the Trainer to the aforementioned screen (if the Breeding Den is free), while the button is shown for Dragons that are obtained from the Enchantment League and the Trainer does not yet have, and pressing it will bring up the Enchantment menu. 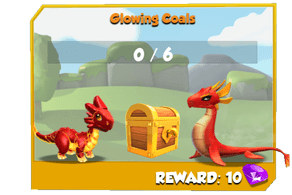 In case the Trainer has not yet unlocked the Enchantment feature, the following text will be shown instead of a button: You will need your 3 strongest dragons to be Level 16 or higher, waiting in their habitats and ready for action to unlock ENCHANTMENT! 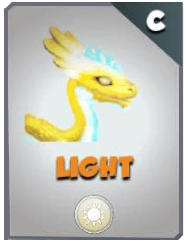 The button is shown if the Dragon is not owned by the Trainer, does not appear in the Dragons section of the Main Shop, and can currently be purchased through a promotion. Pressing this button will bring up the promotion the Dragon is part of. 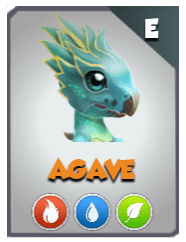 In the case of VIP-Exclusive Dragons, the button is shown if the Trainer has the necessary VIP Level to breed or purchase that Dragon, but their VIP membership is inactive, while the button is shown if the Trainer must become a certain VIP level, which will be indicated on the button, before being able to breed or purchase that Dragon. Pressing either button will bring up the VIP interface. 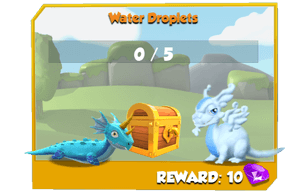 For Dragons that are currently the prize for an ongoing event, the button will be shown and pressing it will take the Trainer to that event. 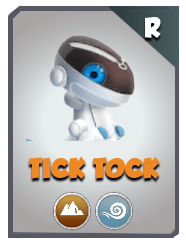 Dragons that are obtained via the Dragon League will have the button shown, and pressing it will open the league menu, while Dragons that are obtained from the Clockwork Dungeon will have the button shown, and pressing it will take the Trainer to the Clockwork Dungeon. However, if the Trainer has not yet reached Level 16, the level necessary to unlock the Dungeon, the button will be shown instead accompanied by the following text: Reach Level 16 to unlock Otto's Dungeon. 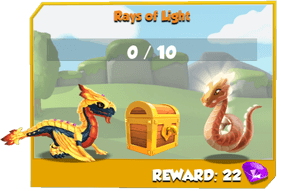 Inside the dungeon, fight against waves of enemies and collect Dungeon Tokens to get unique dragons and other rare items! 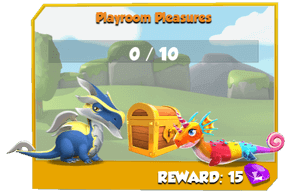 In the case of some Reward-Exclusive Dragons: the button will be shown for Dragons that are obtained from the Totem of Friendship, and pressing it will open the menu of that building; the button will be shown for Dragons obtained from recruiting Trainers, and pressing it will take the Trainer to the screen showing their recruitment code; the button will be shown for Dragons obtained via connecting to Facebook, and pressing it will bring up the window for this purpose. 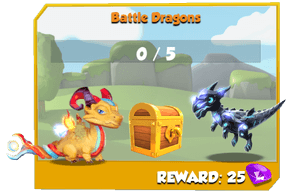 No button is shown for Dragons obtained through the Daily Prizes, only the following text: Day x Login Bonus, where x stands for the day in which that Dragon is given. 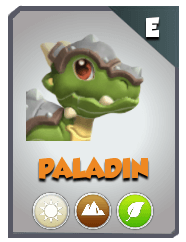 The button is displayed for Dragons that are obtained from defeating certain quests in Normal Mode and Heroic Mode, and pressing it will take the Trainer to that mode. The button is also displayed for Boss Dragons that have not yet been defeated in Normal Mode, and pressing it will take the Trainer to that mode. In the case of Dragons obtained from Mystery Gifting, the button is displayed, and pressing it will take the Trainer to the friend list. 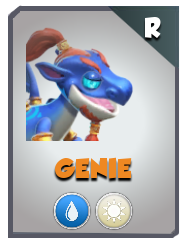 Dragons that are obtained through the Daily Tasks have the button displayed and pressing it will take the Trainer to the Daily Tasks screen. 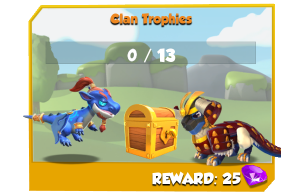 The button is displayed for those Dragons obtained through the Dragon Collector Leaderboard and selecting it takes the Trainer to that feature. The button was available during the time Midgarden was visible and pressing it took the Trainer to the Catch-Up Card Packs, special Card Packs which gave the Trainer the possibility of obtaining Dragons from previous chapters. 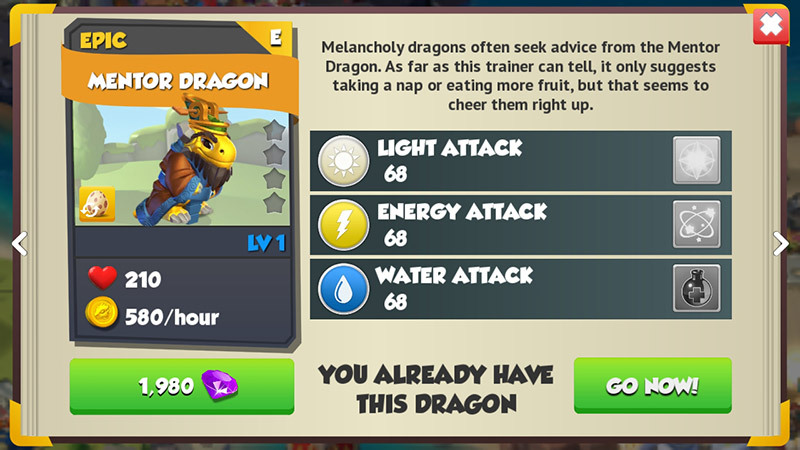 In case the Dragon has not yet been unlocked through leveling, the button will be shown, indicating the level the Trainer needs to reach before being able to buy, breed or obtain that Dragon through another method. The button is grayed out and can not be pressed. The button is displayed when the can not be obtained until Quest 2 (Mountain Trail) in Normal Mode is defeated. 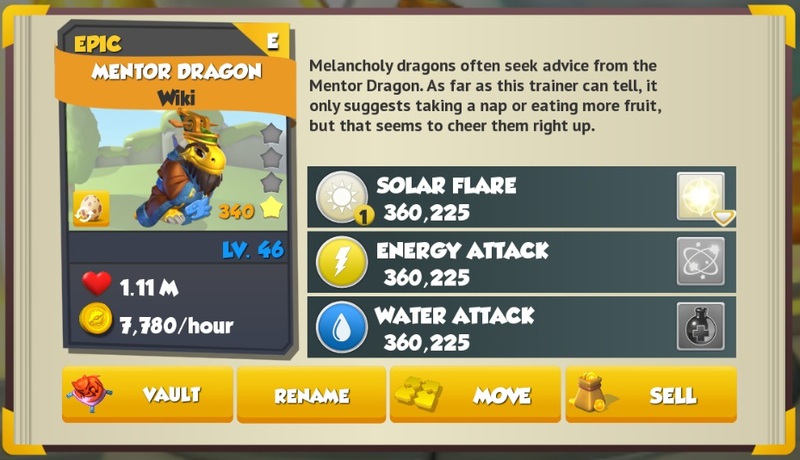 The button is grayed out, can not be pressed and will appear for most of the Dragons in the game, including even those obtained through bundles, as defeating said quest is a major story element. 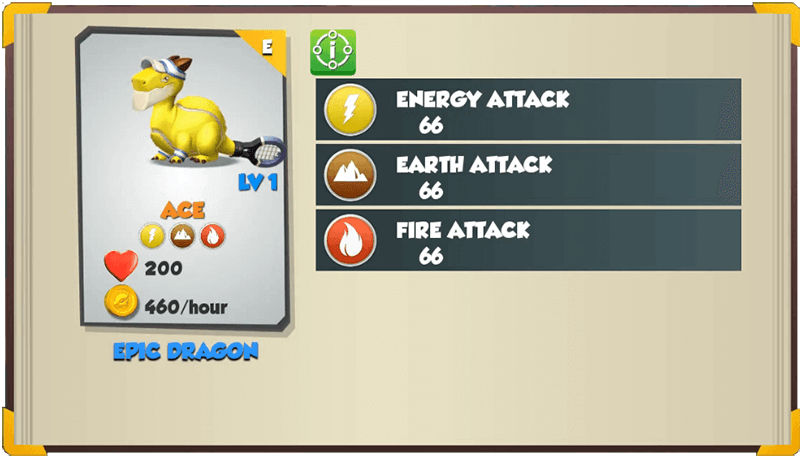 When accessing a Dragon's Codex Entry from its Habitat, the Trainer will see most of the information above, along with the Dragon's given name, its current level, the level of its skill, its Enchantment Level, its mastery (if available), its current Dragon Collector Points and whether the Dragon is trained or not (a curved aura is displayed atop the Dragon's head if it is trained). 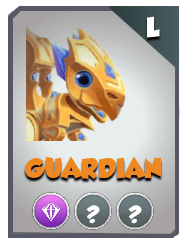 The stats (Health, Base Attack, and Base Gold per Hour) that are seen are affected by the Dragon's level, its Enchantment Level, and whether it is trained or not. 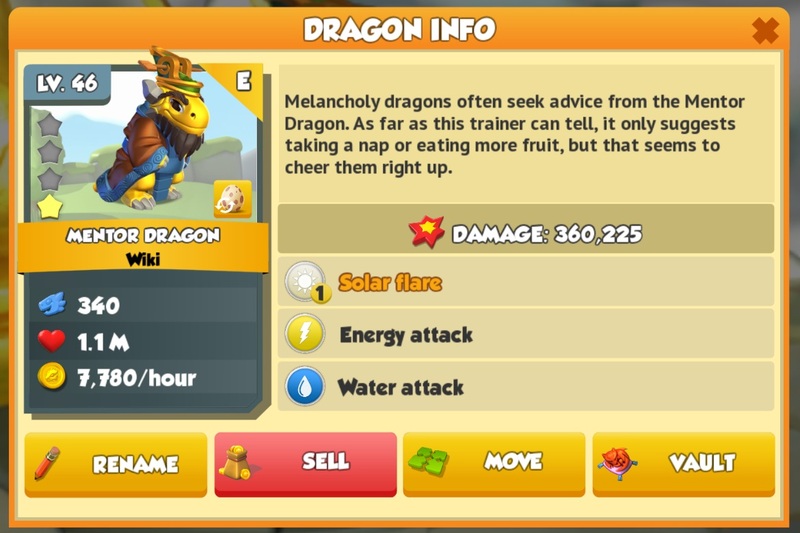 The option to go directly to that Dragon's Habitat, as well as any of the green buttons explained above (regardless if the Trainer has or does not have the Dragon on their islands or in their inventory), will not be shown here. 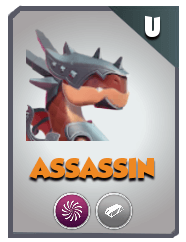 If the Dragon has the skill or mastery learned, the skill's icon will be shown in color, and an arrow can be pressed to view more information about the amount of damage it inflicts and what the skill does. 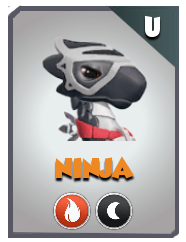 If the Dragon has not learned the skill for that Element, the icon will be grayed out. In this same section, the Trainer can choose to send the Dragon to the Academy by using the option, to rename it with the option, to move it and relocate it in another Habitat through the option, or to sell it for a determined amount of Gold by choosing the option. 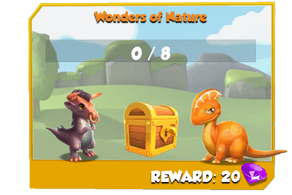 The first button will be grayed out if another Dragon is in the Academy, while the third button will be grayed out if there are no available free, fitting Habitats. Additionally, if the Dragon Vault is present on the Trainer's islands, the first button will be replaced by the button which is used to store a Dragon inside that vault. 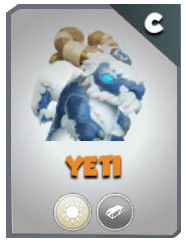 Update 4.5 modified some of the collections by changing the Dragons needed to complete the collection and by introducing different rewards for some of the collections. In addition to new collections being added, meta collections were also introduced. The interface of the Dragon Codex was slightly changed. The tab was replaced by the "Show owned only" checkbox, used for displaying only the Dragons under the ownership of the Trainer while the tab was discontinued. The tab and button were introduced. The former uses the same function as the now-discontinued All tab, but without acting as a filter while the latter is used to access the Dragon Collector Leaderboard. The option to display the collections as a list was discontinued, but the option to hide individual collections was introduced. Trainers can no longer compare their collection of Dragons with other Trainers directly from the Codex, meaning the and buttons were discontinued. Update 4.3 discontinued the Mentoring Program, meaning the button was also discontinued. Pressing the button took the Trainer to the first slot occupied by an apprentice. If all slots were free, the Trainer would be taken to the first one. Update 4.1 altered the graphical interface for Codex Entries to accommodate the DCP stat introduced in the previous update. Additionally, the level of a Dragon was moved from underneath it to above it, the amount of Enchantment Stars has swapped places with the button for switching between a Dragon's forms, the Dragon's name has been moved under the Dragon, and a background has been added to the descriptive text while the text itself has been made static. 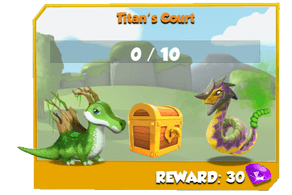 Update 4.0 introduced four new collections, namely Mysterious Dragons, Secrets of the Arena, Elites of the Arena and Collector's Dragons. 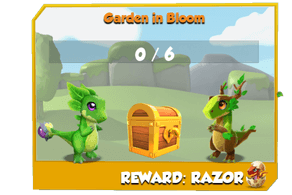 With the introduction of the Dragon Collector Leaderboard, all Dragons, except Boss Dragons, will now have their Dragon Collector Points displayed on their Codex Entry. 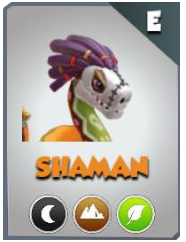 Update 3.7 added the button to the Codex Entry of Dragons. Update 3.2 removed the Base Attack and Base Health stats from the Codex Entries of Boss Dragons. 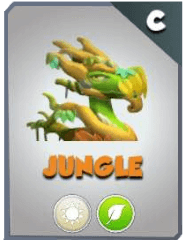 Additionally, the button no longer displays the "Buy" text, only the cost and currency of the Dragon. Update 3.0 added the Clan Siege Spirits collection to the Codex. The Dragon Codex is no longer unlocked after exploring the Mystic Cave for the first time, but after the Trainer has bred and hatched the first Smoke Dragon. All the collections have been replaced by new ones. All collections are now displayed vertically instead of horizontally. Collections now list, by default, all the Dragons inside them while the newly-introduced tab can be used to switch to a checklist-like format. The tab has been replaced by the tab. The tab has been replaced by the button. More filtering options have been added. The Trainer can now switch between the egg and adult form of a Dragon on its Codex Entry. 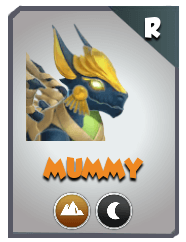 Several new buttons have been introduced for Codex Entries, which will be displayed depending on the method of obtaining the Dragon. The Trainer is now able to see the Codex Entries of Dragons they do not have, and a friend of theirs does, when comparing their Dragons to that of that friend's. 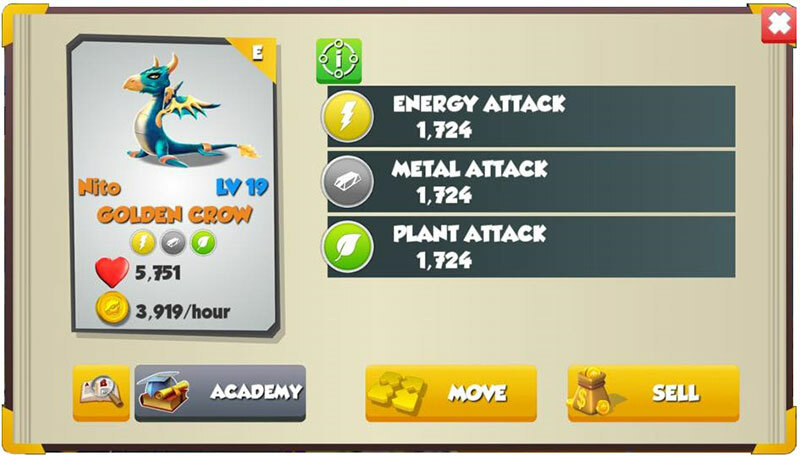 Update 2.5 moved the Collections section from here to Achievements and added the option to go directly to the Dragon into its Habitat from its Codex Entry. The name Book of Dragons was dropped and now it is simply known as Codex or Dragon Codex. 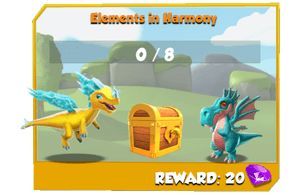 Update 2.0 added the option to filter Dragons by as part of the introduction of Dragon Pieces. 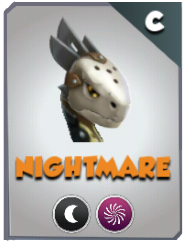 Update 1.9 introduced the option to rename Dragons which was added to their Codex Entry. 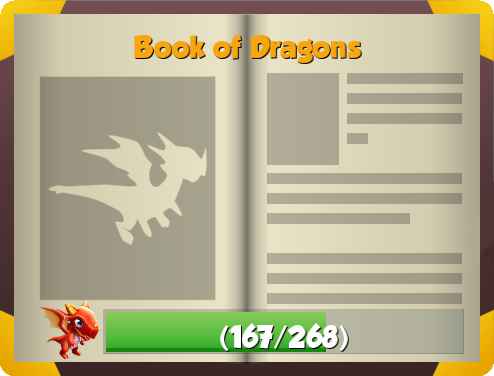 Update 1.5 introduced the Book of Dragons and merged the Codex Entry with the stats screen. This page was last edited on 18 April 2019, at 07:29.